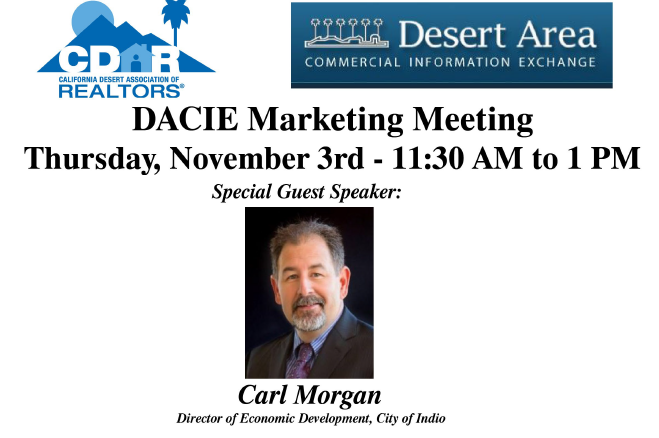 Palm Desert, CA: The California Desert Association of Realtors will host Indio’s new Economic Development Director on Thursday, November 3rd. 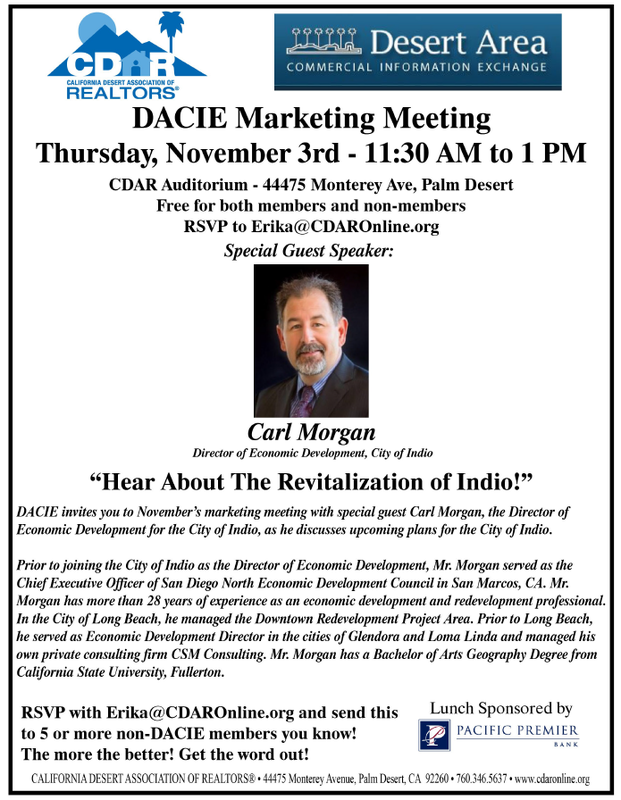 The event will focus on the future of Indio and the city’s focus on new development. Mr. Morgan has served in several economic development positions in the Southern California region and brings a wealth of experience in the field. Realtors, investors and business professionals will enjoy his presentation. A Q&A will be available at the event. Those interested in attending should contact Erika@CDAROnline.org.